This is the first of the 2 series blog. In this, I’ll explain how to do create a read-only Office365 User, directly from the client PowerShell. And then there’s a complete code snippet to achieve the same from a C# Console App in the 2nd part of this blog[Coming soon]. Before delving deep, I would like to highlight the fact, that you’ll NOT be charged for this User a/c by Microsoft. We’ll be barely creating a User, not assigning any license to it. SharePoint Online Management Shell with all its dependencies. A dialogue will pop-up seeking the userId & password. 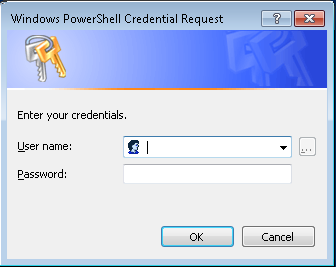 Provide an administrators credential here. Note, you’ll not be notified for wrong userID or password. In the event of providing wrong credential, the following cmdlets will refuse to run. So, make sure, that the credential is correct. Once, the authentication is done, we’ll then create a new Office365 user. We’ll be providing basic user details, like FirstName, LastName, LoginID [or, UserPrincipal(compulsory)]. But, we’ll never set the password. The password will be returned back to us, once the user has been created. Another important thing to note here is the password policy we’re enforcing here. First, we’re setting, “ForceChangePassword” to false. This implies that when the User will login for the very first time, he/she will not be prompted to change it. Next, we’re setting “PasswordNeverExpires“, to true which, is pretty much self-explanatory. Once the User has been created, its basic details like, UserPrincipalName, newly created Password, etc, will be displayed in the Shell. One can also specify their preferred password also by adding, “-Password “Password123” at the end of the above cmdlet. Note: There can be multiple Users with identical DisplayName but not UserPrincipalName. It has to be unique. This is simple. We’ll be assigning the “Service Support Administrator” role to this newly created User. Say, we saved the file in D drive, with the name, addExchngViewRole.ps1. 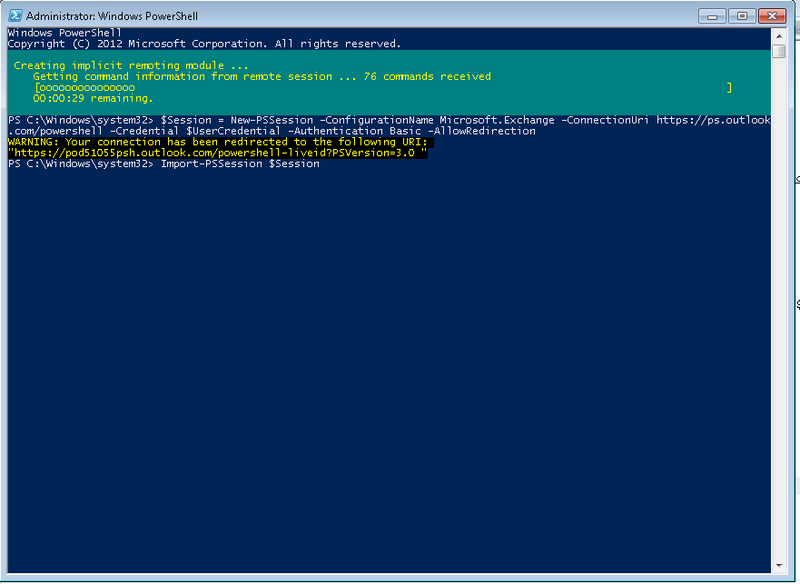 So to execute the same, just run from powershell, D:/addExchngViewRole.ps1. A dialog box will be prompted (same as above). Here again, you need to specify the admin’s credential. Once validated, it will import the Exchange commands. Next, you’ll be asked to provide the PrincipalID or LoginName of the User who will be assigned to the RoleGroup, View-Only Organization Management [in this case, pk@company.onmicrosoft.com]. After that the user will be added to the given group and the current session will be removed from your machine, as per Microsoft’s guideline. Note: ConnectionUri has been fixed to https://ps.outlook.com/powershell. This is valid for Exchange Online only. If you’re using on-premise, plz replace the url with this one, http:///PowerShell/.